Tornado 60163 came twice to March in 5 days! The first train on train was on Friday the 21st of June and was a Cathedral Express. Fridays train was from Tonbridge, with steam with Tornado, from Tonbridge to Ely, were the passengers had got out, and the ECS had come to March South Yard. Tornado and its surport coach turned on Whitemore triangle. Tornado was then watered befor returning to pick up the passengers. 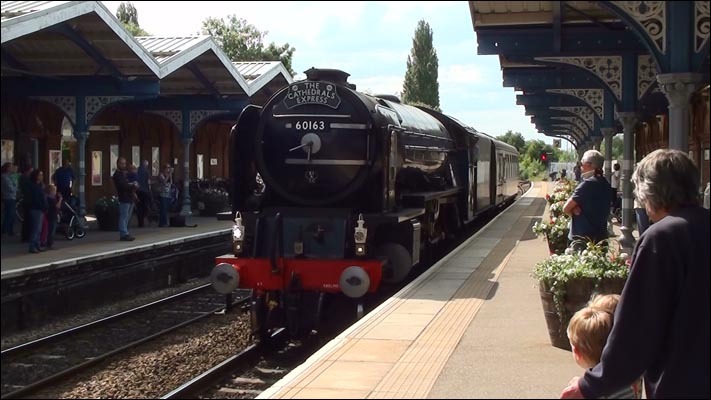 This train was on Tuseday the 25th of June was also a Cathedral Express this time from Rainham with steam with Tornado from Battersea in London to Ely were the passengers got out and the ECS came to March. Tornado and the surport coach turned on Whitemore triangle. it was watered befor returning to pck up the passengers. Tornado in the South Yard at March with the Tueday train just moving off very slowly, waiting for the signal to clear which it did, so it did not need to stop. 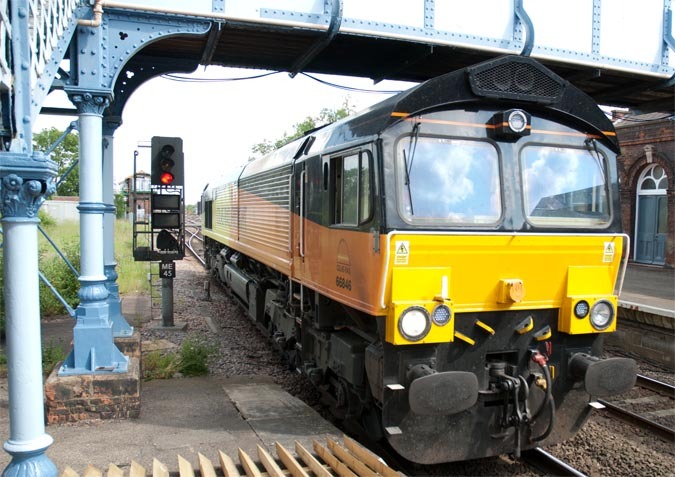 Also on the same day Colas Rail class 66846 was heading to Whitemoor Yard having come across the cross over, at the Ely end of March station.